Perhaps the most versatile material in construction can be called soil. It is used in preparatory work before painting, puttying, sticking wallpaper and, moreover, on different surfaces: plaster, metal, wood and others. Indeed, the primer is used for various jobs, both inside and outside. 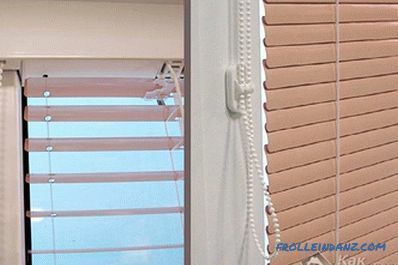 It contributes to a more durable connection of the surface itself with paintwork and other finishing materials, as well as prevents corrosion and various detachments from the treated surface. Therefore, in the repair work without primer, we can not do. Perhaps you are in your apartment or house started a repair. It is clear that there is a lot of work to be done: painting, plastering, sticking wallpaper, etc. In what kind of finishing work is it necessary to apply the primer? Why is it important to perform such processing? In this article, we just look at these issues, finding out when to primer the walls or ceiling. I must say that in the finishing work of the rooms is not always appropriate to use the wallpaper. 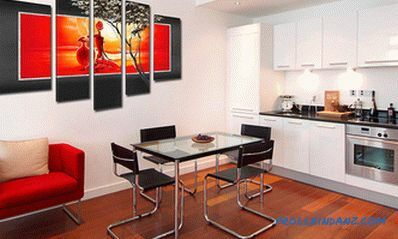 Sometimes the most effective and, moreover, inexpensive method may well be the painting of walls. At first glance, this method of conversion is not so difficult. As a rule, there are no particular difficulties in performing this work. But still there are nuances that are worth knowing. For example, do you need to prime the walls before painting? 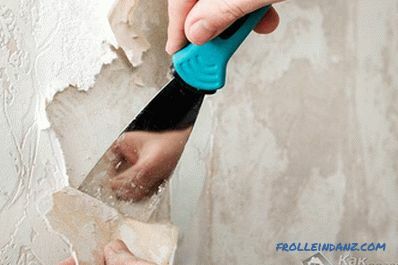 It is necessary, but before priming the wall, without fail, are cleaned from old wallpaper, unfit plaster or paint. Be sure to remove grease stains with a sponge soaked in an alkaline solution. Do not leave on the wall and dark spots of mold. Remove it with a special cleaning solution or a stiff brush. Now you can primed. It is impossible to apply a primer on a newly plastered wall. This can be done after 4 weeks. After priming the walls should pass the day and only then can they be painted. 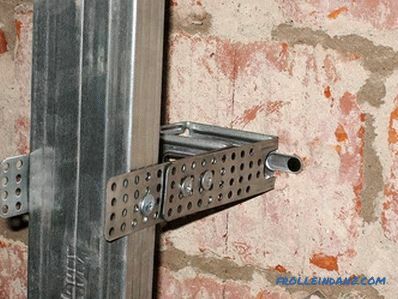 The primer must be well stirred and, if necessary, , add there a special tool that is recommended by the manufacturer. Usually, the primer is applied in one coat. But it also happens that, according to the recommendation indicated on the bank, it is necessary to apply several layers. When the walls are primed in more than one layer, it means that the wall surface has an absorbing capacity or indoor humidity and you need to create an appropriate waterproof barrier (acrylic primer varnishes have this property). The next layer should be applied after the previous one is completely dry. 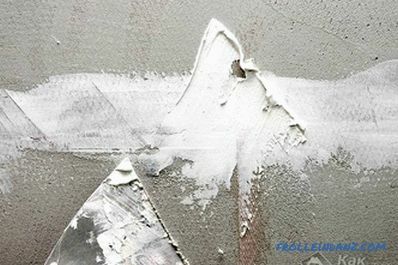 The primer is applied either on the plaster or on the painted surface, and no matter what kind of paint it was: water-based, acrylic, alkyd, oil or other. In this case, the primer is a binder for particles of paint or plaster, which will invariably make the substrate, on which we will apply the paint, more uniform. It is worth noting that this contributes to greater savings and finishes, since the absorbing properties of the painted surface are significantly reduced. 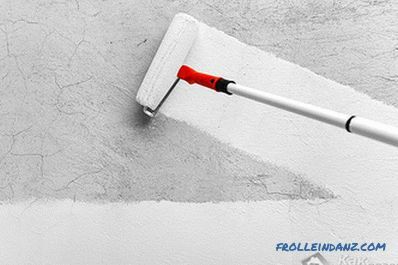 Associate with the properties of the primer paintwork (or other materials) with the surface, it is logical to conclude that priming before puttying is not only necessary, but also important. If this is not done, then over time, all the putty on the wall may crack or peel off and sprinkle. 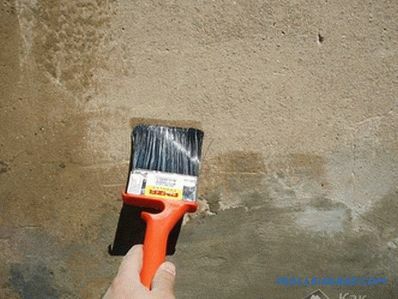 If there are several layers of putty, after each application of the layer and drying of the putty material, it is necessary to prime the surface, and even after applying the finishing layer of putty, let it dry, then polish and then coat it with a primer. Please follow the advice of professionals, as well as the recommendations from this article and then you can avoid wasting money, time and effort. So, is it necessary to prime the walls when applying any finishing material on them? Answer: it is necessary.